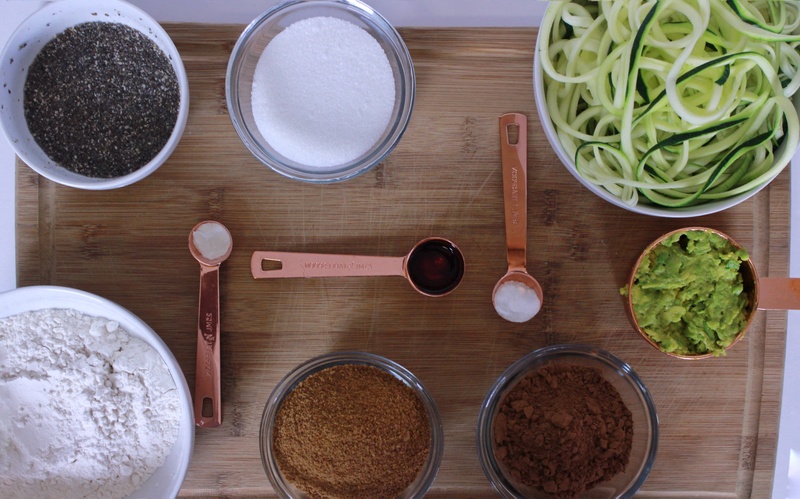 Hello, today I bring a twist on one of my favourite things to bake: a chocolate zucchini loaf. This recipe I decided to swap out the oil and replace it with avocado and of exchange the eggs for Chia seeds. This way I made a new recipe which also happens to be vegan for anyone interested in that. 1) 1 1/2 cups (225g) of shredded or grated raw zucchini (courgette)-I used my veggie spiralizer and it literally took me 5 minutes. 2) 1 cup (130g) flour. 3)1/2 cup (45g) unsweetened cocoa powder . 4) 3/4 tsp baking soda . 5) 1/4 tsp baking powder . 6) 2 Chia eggs– To replace one egg add 1 tbsp of ground Chia seeds (I blitzed mine in the Nutribullet) with 3 tbsp of water and let sit in the refrigerator for 15 minutes to allow it to form a gelatinous consistency. 7) 1/2 cup of mashed avocado-To replace oil or butter with avocado, for every 1 cup of oil needed, use 1 cup of avocado. 8) 1/2 cup of white granulated sugar. 9) 1/2 cup of brown sugar. 10) 1 tsp of vanilla extract. 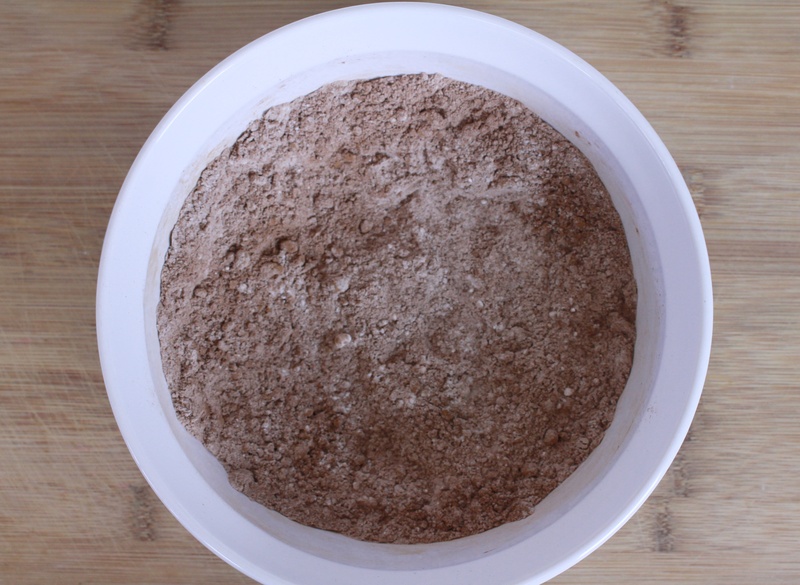 1) Sift the flour, Cocoa powder, baking powder and baking soda together. 2) Mix the Chia and avocado well (using hand or stand mixer) adding in the sugars. 3) Add the dry ingredients and mix well. 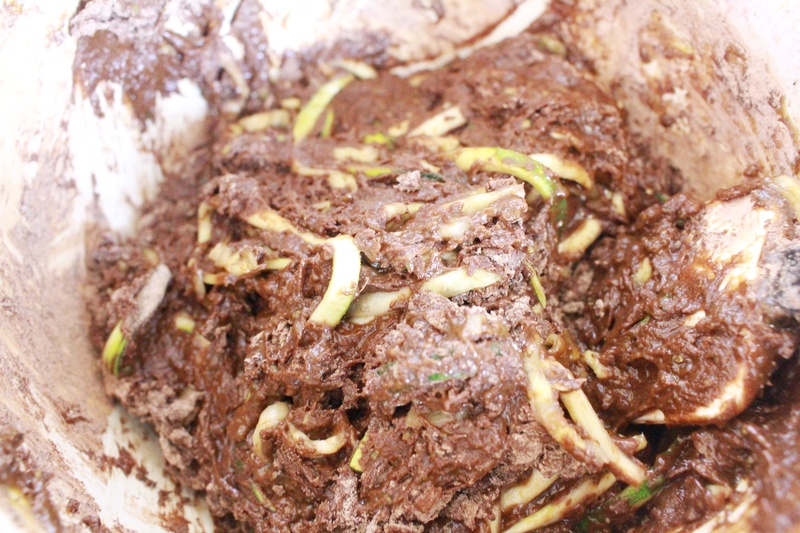 4) Fold in the zucchini into mixture until it forms a moist homogeneous mixture. 5) Pour into loaf pan and bake at 350 F for 55 minutes or until the Centre is done. I had to take it out and check a few times because it kept smelling done when it really wasn’t. Once it’s done let it cool, Slice and eat! So swapping out two ingredients definitely changed this recipe. What was before a more firm loaf became a softer one with more of a chewy brownie texture (I’m NOT complaining). I presume using the Chia instead of egg made it less cohesive while the avocado added smoothness that only avocado can. You don’t taste the avocado, only appreciate the creaminess. The addition of vegan (or non-vegan) chocolate chips makes it more chocolate you and a bit gooey. 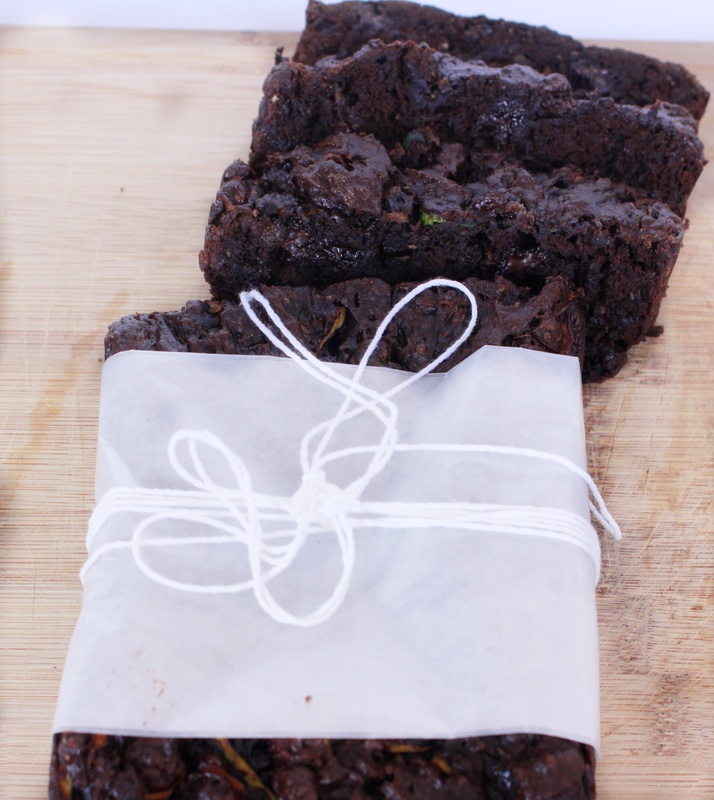 This is a great loaf especially for a chocolate lover. There is some actual nutrition by way of the zucchini and avocado and Chia seeds but you more than get your chocolate fix. This is a great dessert to keep around and offer unexpected guests or take to a potluck tea party. 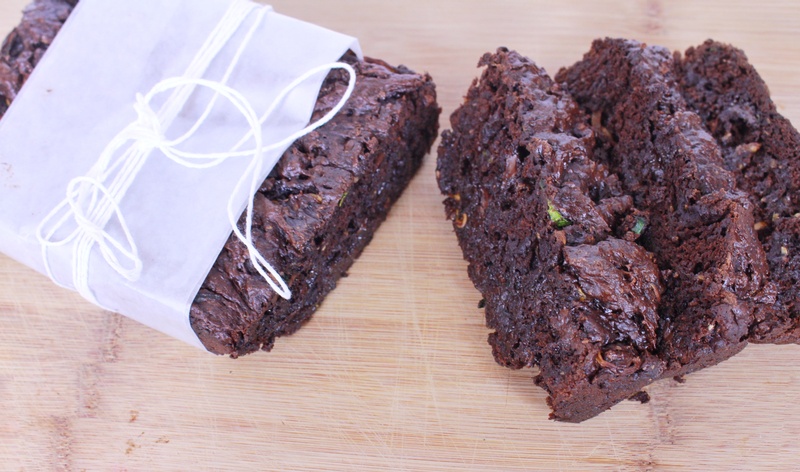 Would you try chocolate zucchini loaf or do you prefer regular zucchini loaf? Whatever your answer, have an awesome day!